Offer condition: Excludes sale items. Do not miss another Asda George voucher! 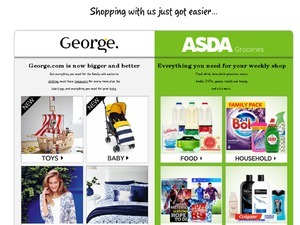 Simply leave your e-mail address and we'll always keep you informed of new vouchers for Asda George. Offer condition: One voucher per transaction, valid on orders placed on the Asda Wine Shop subject to availability www.ASDA.com/wineshop Friday 3rd June 12.01AM ending Monday 20th June 2016 Midnight, Available while stocks last, voucher applies to Wine Shop only. Voucher Code to be applied at checkout (CASE SENSITIVE). Asda Colleague discount can be used in conjunction with this voucher code. Dates are subject to change can be withdrawn at any time. Offer condition: Full price adult fancy dress only. Does not apply to sales items. 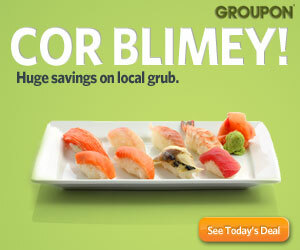 Valid 20th – 23rd February. Offer condition: Available while stock lasts. Voucher applies to Asda Wine Shop only. Offer condition: Plus free delivery on orders over £40. Offer condition: Discount applied at basket. Latest voucher code valid at a time of promo publication was entered to be working from 2016-06-08.